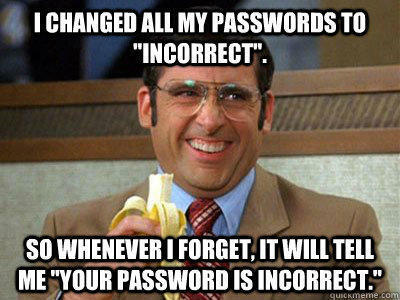 I changed all my passwords to "incorrect". So whenever I forget, it will tell me "Your password is incorrect." Where did you learn to make your memes? 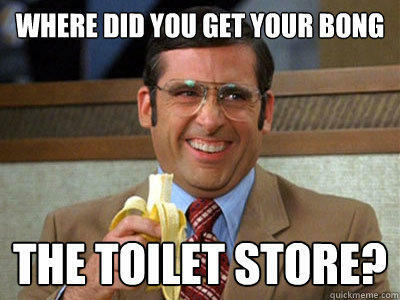 the toilet store? 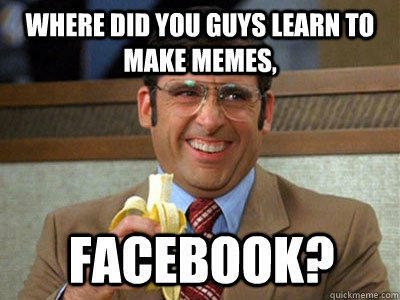 where did you guys learn to make memes, Facebook? 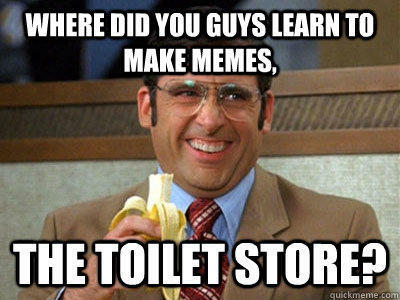 where did you guys learn to make memes, the toilet store? Where did you get your bong the toilet store?